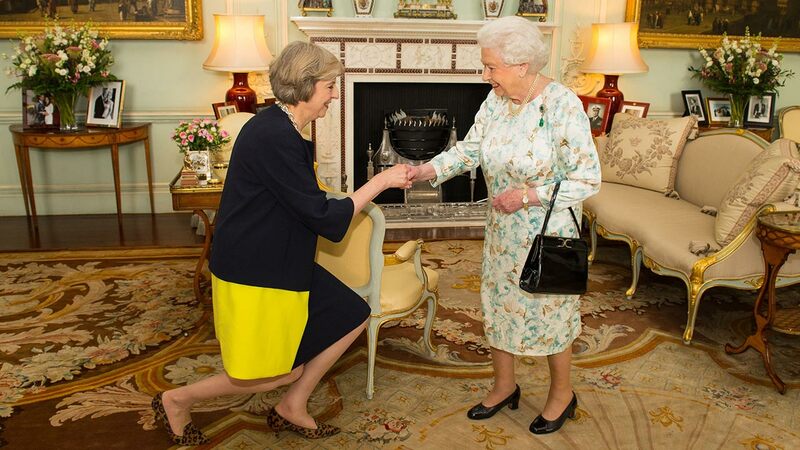 LONDON, England -- Theresa May became Britain's new prime minister on Wednesday, accepting an invitation to govern from Queen Elizabeth II after the resignation of David Cameron. She promised to lead a "one-nation" government dedicated to social justice and making "Britain a country that works for everyone." May is expected to begin appointing new Cabinet ministers as early as Wednesday evening - including a "Brexit" minister to oversee talks on a British EU exit from the 28-nation EU. There is also speculation that May, Britain's second female prime minister after Margaret Thatcher, will boost the number of women in top posts. She is under pressure - both from pro-Brexit Conservatives and other EU leaders - to start formal exit talks with the bloc. But Tony Travers of the London School of Economics said May would likely not rush to trigger Article 50 of the EU constitution, which starts a two-year countdown to a final exit. "It has been the greatest honor of my life to serve our country as prime minister over these last six years, and to serve as leader of my party for almost 11 years," he said outside 10 Downing St., accompanied by his wife Samantha and his children - 12-year-old Nancy, 10-year-old Elwen and 5-year-old Florence. Despite the suddenness of Cameron's exit - less than three weeks after the June 23 referendum on Britain's membership in the EU - he appeared relaxed and confident as he absorbed both praise and carping from opposition lawmakers. He found time to congratulate Wimbledon winner Andy Murray and other British players there, and rebuffed rumors that he does not like Downing St.'s resident cat, Larry - "I do!" Wednesday's newspapers, however, offered mixed judgments of Cameron, a politician toppled by his decision to call a referendum on EU membership - which he then lost.